I am greatly relieved that we have donated enough money for Wikipedia to continue. It is absolutely glorious that we can consult (and contribute) to a medium that gives us a true treasury of information. 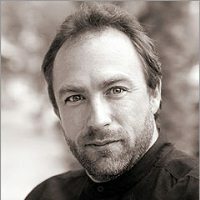 Thank you Jimmy Wales! (I think I already left this comment, but sometimes even for me computers are a riddle. This is a request to support the SOPA blackout protest.